Dublin City Council distanced it self from a draft study on the future of its city centre streets, however, the study now available on IrishCycle.com says that it “links directly” with the “principles, concepts and objectives” of the Dublin City’s development plan and public realm strategy. “This study has not been done in isolation, it builds upon the on-going work of Dublin City Council and intentionally links directly with the principles, concepts and objectives outlined in the Dublin City Development Plan 2011-2017 and the City Councils Public Realm Strategy (2011),” the draft study states. The development plan and public realm strategy, which are both approved by councillors, envisages a city centre which is friendlier to cycling, walking and public transport use. 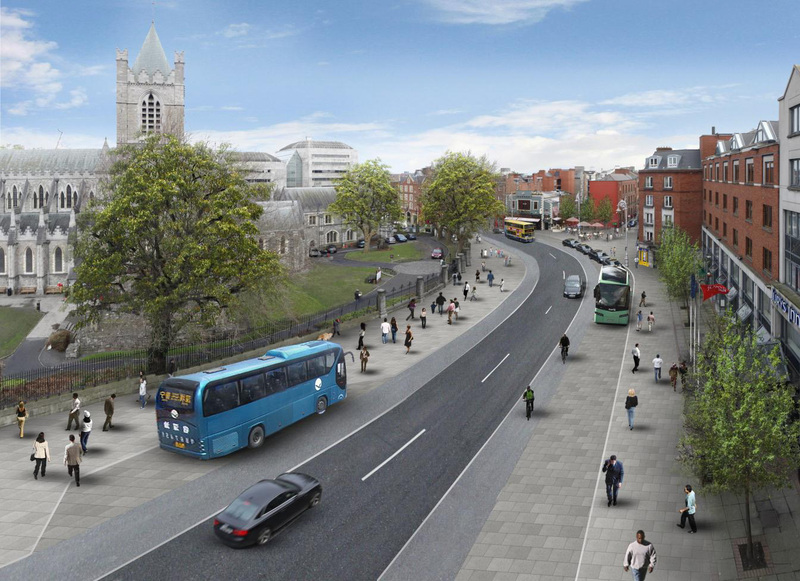 The draft City Centre Transport Assessment Study was produced the National Transport Authority — as we reported recently, the transport body said a completed study will be released within the first six months of the year. Following the coverage of the study, by the The Irish Times last September, this publication requested a copy of the draft study from the National Transport Authority and Dublin City Council. The authority and the council rejected requests under environment freedom of information to release the draft document. However, we are now publishing the draft study below.